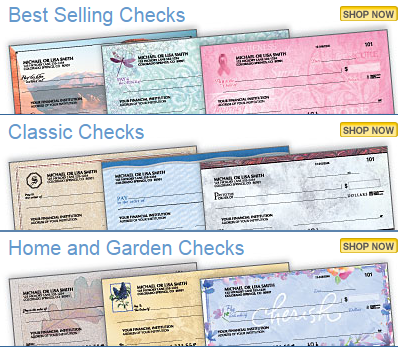 Get 2 Boxes of Designer Checks For Only $8.95 + FREE Shipping (Reg. $25+)! You are here: Home / Great Deals / Get 2 Boxes of Designer Checks For Only $8.95 + FREE Shipping (Reg. $25+)! Need to order (or re-order) checks? I know I do, even though I use my debit card for everything! It’s always good to have checks on hand, even in this modern age! And of course, I have an awesome deal for you! Right now, you can snag 2 Boxes of Designer Checks For Only $8.95 + FREE shipping (Reg. $25+)! They have TONS of designs to choose from! Just use coupon code DWF140 at checkout! Be sure to select “No” to the extra offers that pop up and choose USPS Bulk Slow Ship for the FREE shipping!